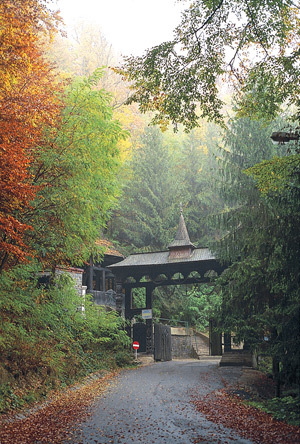 The wooden gate of the Monastery of Rohia. The Land of Lăpuş or Ţara Lăpuşului is situated south of the town of Cavnic. The geographical borders of the region are not very distinct, but they follow roughly the volcanic chain of the Gutâi-Lăpuş-Ţibleş Mountains in the north – northeast, Breaza Crest in the south – southeast, and Şatra Peak and Preluca Hills in the west. The Land of Lăpuş, one of the oldest administrative units of this type in the country, was first mentioned in 1291 as “an estate called Lapus” and then in 1315 under the name “terra Lapus”. Lăpuş is a commune of 3,800 inhabitants on the Lăpuş River, 12 km northeast of Târgu Lăpuş by the county road DJ 109F. Lăpuş used to be an important centre of manufacture for red ceramic ware, together with Târgu Lapuş. Târgu Lăpuş is a small town of about 14,700 inhabitants in the heart of Lăpuş, on the Lăpuş River. It is 47 km southeast of Baia Mare by the county road DJ 182. 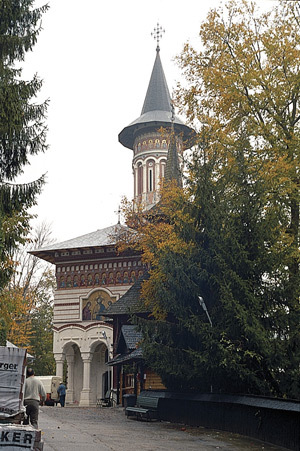 The main sites to be seen in the town are: the Roman-Catholic church (1752), the Calvinist church (1839), the Orthodox church (1906-1912), the old school (1858), and the old town hall that is nowadays a dispensary (19th century). 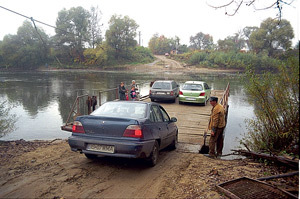 A simple cable ferry carries passengers and cars across the Somes River. The Land of Chioar or Ţara Chioarului is situated south of the towns of Baia Mare and Baia Sprie, west of Lăpuş and east of Codru that lies beyond the Someş River. Its landscape is hilly with several meandering rivers, the most important of which is Lăpuş River. 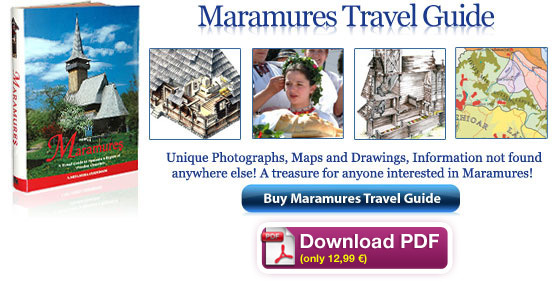 Although archaeological research has not been very intense in this area, there are numerous findings that prove that the region has been inhabited ever since Dacian times, some places even since the Bronze Age, especially in the areas where today are the villages of Satulung, Mireşu Mare, and Valea Chioarului. Also in Chioar there are specific traditions and costumes, as well as distinctive features of architecture, such as walls covered with rendering that are tinted in light hues. Two of the eight Maramureşean churches included in the UNESCO World Heritage List are in Chioar, those of Şurdeşti and Plopiş. 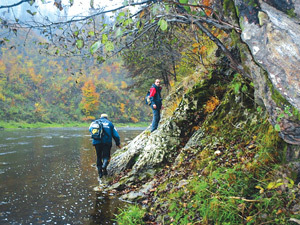 The commune of Remetea Chioarului is in the valley of the Lăpuş River, close to its confluence with the Cavnic River. It is 20 km south of Baia Mare and eight km northeast of Şomcuta Mare taking the county road DJ 182B. The Lăpuş River runs through the steep-sided Lăpuş Gorges from Răzoare to Remetea Chioarului. The gorges were formed when the river eroded the crystalline schists of the Preluca Hills it crossed. They are considered to be unique in Romania due to the length of 36 km and the various types of geological and natural formations found: steep rocky walls, forests, waterfalls, caves etc. The Zone or Land of Codru, Zona/Ţara Codrului, is situated in the westernmost part of Maramureş County, beyond the Someş River. Administrative borders have split the historical area, and small parts of it are found also in the counties of Satu Mare and Sălaj, besides Maramureş. 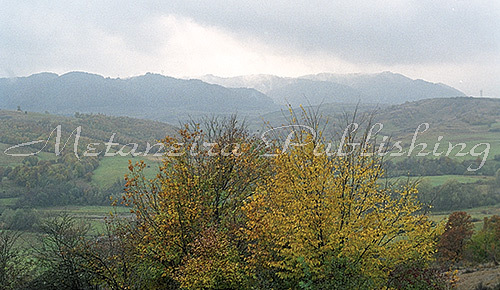 The landscape is of low vast hills, mostly covered with fields and pastures. Forests are still found, especially closer to the Codru Ridge at the western end of the area, although they are a far cry from the former endless oak tree forests for which Codru was named, codru meaning forest in Romanian. Cordu is probably the least visited and least well-known area in the county. The town of Ulmeni is situated on the county road DJ 108A, 45 km southwest of Baia Mare, but can be reached also by railway. It is on the banks of the Someş River, and here is found one of the two ferry crossings that take passengers across the river. The next commune up the river from Oarţa de Sus is Bicaz with 1,300 inhabitants in three villages. This is the last corner of Codru, and from here the road leads on to Satu Mare County.